Can you ever have too much storage? As appealing as this sounds, I’m weary of having that many eggs in one basket–especially in something as prone to danger as a laptop. This is a great idea. If there’s a path to consolidation and compactness, I’ll take it. I wonder if this product will become mainstream here in the U.S. Okay, that’s just too cool. Megatron’s most loyal Decepticon, Soundwave, has resurrected as an actual working MP3 player. 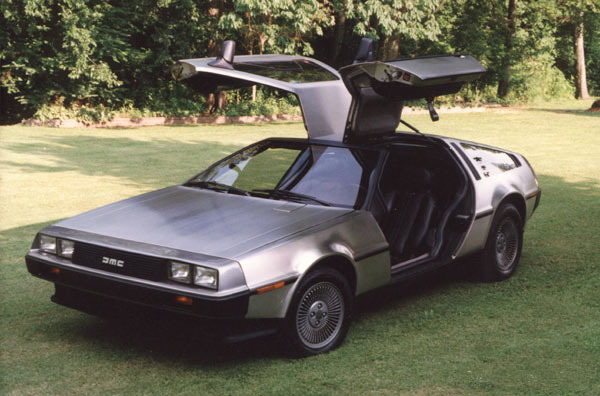 … The De Lorean is making a come back. Now the question is, where can I get some Plutonium? I just got this from radium226. I don’t know how to classify her music, but it’s pretty catchy. Here’s her bio. Here’s one of her CDs. Anybody more familiar with this artist? Her piano solo at the end of this clip is amazing. It’s so good I had to edit this post and embed this video.